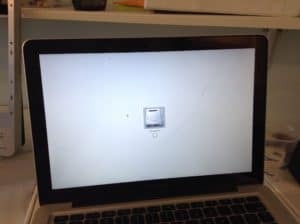 Here’s a MacBook Pro A1278 with just glass damage. As you can see there is a hairline crack running diagonally from the top right corner down the middle of the screen. Underneath this cracked glass, the LCD panel is perfectly fine. There are no lines or marks on the display. Once we replace the broken glass with a new pane of MacBook Pro glass, the screen will be like new. 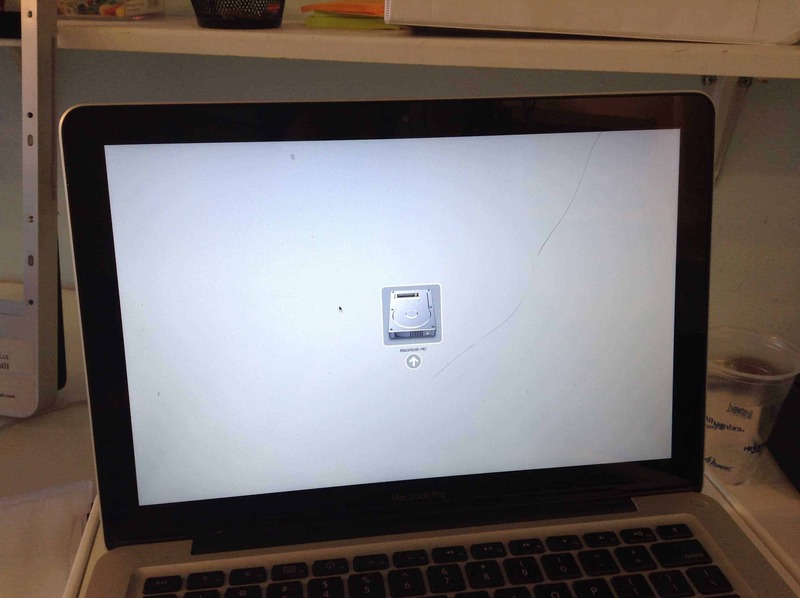 This cracked screen isn’t so bad, the computer is still mostly useable, but having broken glass on your MacBook screen weakens the display, making it more likely to be broken further in the future. It’s also distracting to look at. On this model, replacing just the glass is pretty easy and cost-effective at only $175.